New albums 'BÁKINI - En el Nuevo Mundo' & 'Mabagwe' out now! 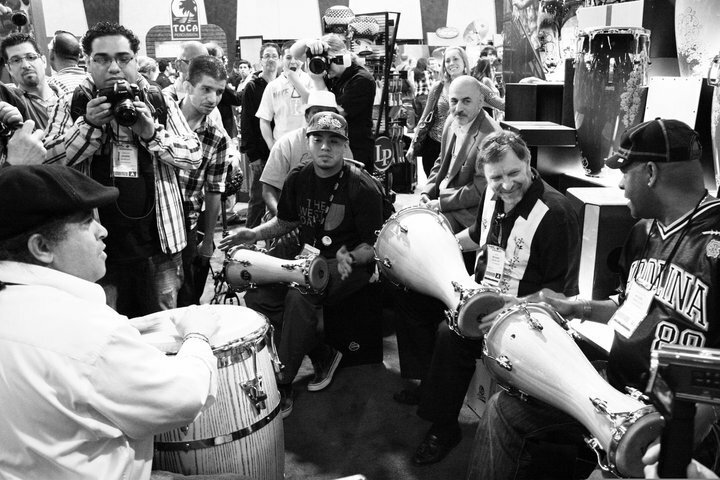 As a performer, he co-leads one of the only remaining charanga groups in the United States, “Orquesta La Moderna Tradición”, and also is the co-director (along with the great Santana percussionist Karl Perazzo) of an “all star” conjunto in the San Francisco Bay Area—“Conjunto Karabali.” Finally, he holds the conga drum chair in the internationally acclaimed (and 2011, 2014, and 2015 Grammy nominated) “Wayne Wallace Latin Jazz Quintet,” which continues to record and perform throughout the United States. 2001 - Tony Award, Broadway production BLAST!